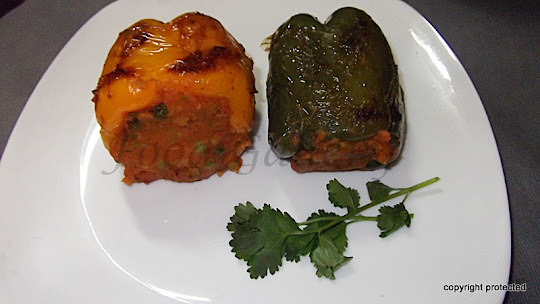 Stuffed capsicum or Bharwan Shimla mirch/capsicum as it is called in India is a flavorful and delicious dish prepared with the combination of bell peppers and spiced potato masala. 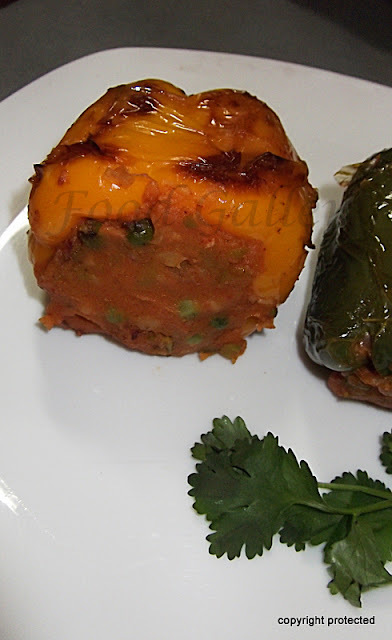 It is an excellent appetizer and is low in fat. There are many variations, both veg and non-veg, to the stuffing masala used. I have prepared with spiced potato masala. 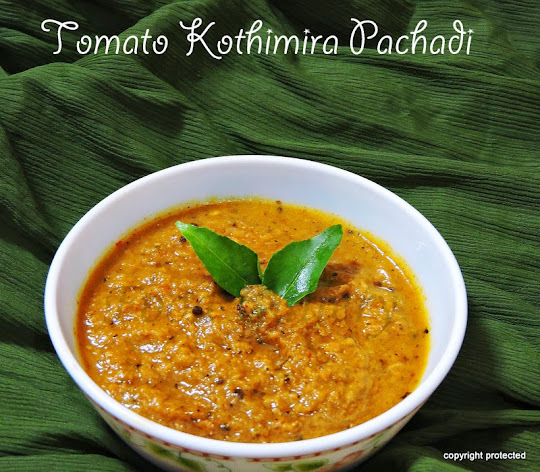 This is generally a dry dish and is served with rice or rotis. Wash and pressure cook potatoes till they are soft, mash them and keep aside. Heat about 3-4 tsp of oil in a kadai and add cumin seeds. When they crackle, add onions and saute till they become translucent. Add the mashed potato and peas and jeera, dhaniya and chilli powders, salt and mix well. Cook on low flame for about 5 minutes and remove from fire. The stuffing is now ready for use. Remove the stem taking care not to break the capsicum and gently remove the seeds from inside using a spoon. Fill it with the potato stuffing. Heat the kadai again and add the remaining oil. When the oil becomes hot, place the stuffed capsicum in it and reduce the flame and cook them by turning sides gently. Cook the capsicums on all sides till brown spots appear on the surface. Remove from fire. Serve with plain rice or roti/chapati. This looks so interesting and delicious..
its one of my fav masala stuffing.. love to have it with roti.. I love capsicum n try to cook it in all possible ways! :) nice one bindhu! My mom used to make this one. Love yours too. really yummy and delicious.how are u? Never had this..looks so delicious..